Diamond grading determines the dollar value. It is based on the “4 C’s”: Color, Clarity and Cut (proportion, polish and symmetry), which are the quality elements, together with the Carat weight determine value of a stone. Each element is based on a scale. The closer a diamond grades to the left of one or all of the scales, the rarer and more valuable the stone. Clarity is frequently assumed the most important. However, color and cut, especially cut, have the greatest affect on the appearance of a diamond. Clarity refers to a stones relative position on a flawless-to-perfect scale. Clarity characteristics are classified as inclusions (internal) or blemished (external). The size, quantity, position, nature, color and relief of the characteristics determine the clarity grade. FL Flawless Free from all inclusions or blemishes. VVS1 Very Very Small inclusion #1 Inclusions that are extremely difficult to locate at 10x. VVS2 Very Very Small inclusion #2 Inclusions that are very difficult to locate at 10x. VS1 Very Small Inclusion #1 Minor inclusions that are difficult to locate at 10x. VS2 Very Small Inclusion #2 Minor inclusions that are somewhat difficult to locate at 10x. SI1 Small Inclusion #1 Noticeable inclusions that are easy to locate at 10x. SI2 Small Inclusion #2 Noticeable inclusions that are very easy to locate at 10x. Some inclusions may be seen with the unaided eye. The cut of a diamond greatly determines its brilliance. A cut grade is based on a collection of measurements and observations that determine the relationship between a diamond's light performance, dimensions and finish. Most gemologists consider cut the most important diamond characteristic. High quality diamonds are cut to strict proportions. As a result, they are extremely bright and beautiful. If the cut on a high quality diamond is fair or poor than the diamond lacks brilliance. 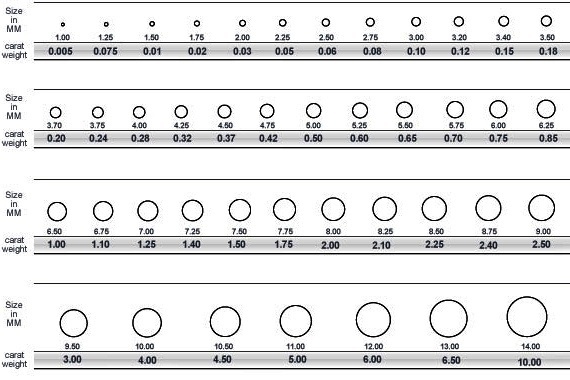 Determining a diamond's cut grade, goes beyond simple measurements of width and depth. Using a proportion analyzing device, a three-dimensional model is created to determine the diamond's proportions and angles. The relationships between the various dimensions greatly affect light’s reaction once it enters and exits the diamond. Sophisticated computer software and hardware allows light tracing to measure the levels of brightness, fire and scintillation. Polish and Symmetry are two important aspects of the cutting process. Polish grade describes the quality of the diamond's facet surface and symmetry grade refers to facet alignment. Diamonds with a poor polish are dull. Diamonds with poor symmetry leak light, which results in light rays escaping through the pavilion (lower half of the stone). Light is not reflected back to the viewer’s eye, limiting a diamond’s sparkle. Ideal (ID), Excellent ( EX), Very Good(VG), Good(GD), Fair(F) and Poor(P). Grading color in the normal range involves determining how close a stone’s color approaches colorlessness. Most diamonds have a trace of yellow or brown body color, with exception of some natural fancy colors, such as blue, pink or red. The colorless grade is the most valuable. Fluorescence (define) can enhance the perceived color. The final aspect of grading a diamond is the carat. Carat is a metric unit of weight in the gem stone industry. Carat is equal to 1/5th of a gram or “5 carats in a 1 gram.” The term “points” is a decimal fraction of a carat. A point is equal to .01 (1/100th) of a carat. Just as 1 dollar is equal to 100 cents, 1 carat equals 100 points. Generally speaking, larger stones are rarer than smaller stones of the same quality. This is why the 1 carat, 20 stone cluster ring is less expensive than a 1 carat solitaire of the same quality. The size at which a gemstone increases significantly in price varies with the availability. Carat weight and the physical size of a stone vary between species of gemstones. For example, a carat round diamond is 6.5 millimeters in diameter, but a 1 carat ruby is 5.5 to 6.0 millimeters in diameter. This is because rubies are denser and typically cut heavier than a diamond. So, a 1.5 carat stone may be needed to replace the mounting of a 1 carat diamond. Physical measurements rather than carat weight should be used to match size. Whilst the acquisition of diamond jewelry is an important expression of love or accomplishment, it also represents a major investment in time, energy and money. You need and deserve to feel confident in the integrity of what you've acquired. After all, whilst two gems may LOOK identical to the untrained eye, they may be quite different in quality....and worlds apart in value. The only way to ensure the quality of your diamond is to purchase a diamond accompanied with an independent diamond grading report. We provide GIA, IGI, HRD and EGL certification as these are some of the most respected and trusted diamond laboratories in the world. A diamond grading report is essentially a statement attesting to the authenticity of a diamond it provides a true and accurate statement of the diamonds characteristics and grade based on internationally recognized standards. A diamond grading report will includes a plotted diagram of the diamond and all significant characteristics, cut, color, clarity, carat weight. The report also describes the diamond's shape, exact measurements and proportions as well as grade the polish and symmetry. The report comments on the distinctiveness of the diamond, like fluorescence if present, graining, and any imperfections the diamond may have. EGL is one of the largest and oldest independent gemological institutions focusing on gemstone certification and research. Founded in 1975, the IGI is one of the world's foremost diamond laboratories. Each diamond is scientifically analyzed by several gemologists who, using the latest state-of-the-art equipment, provide an accurate description of the characteristics of the diamond and quality of its cut. The IGI issues approximately 1 million diamond grading reports each year. GIA diamond dossier - This is a compact grading report issued for diamonds weighing less than one carat. The most advanced technology available is used to assess the authenticity and quality of your diamond. 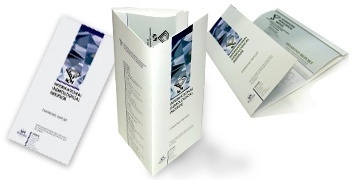 The dossier includes the GIA's authoritative analysis of your diamond's 4Cs - Cut, Carat, Color and Clarity. 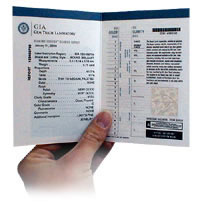 Plus, as an added benefit, the diamond bears the microscopic laser inscription of the dossier's identification number, connecting the diamond with your report. GIA diamond grading report - This is considered by fine jewelers and international auction houses as being the world's premier gemological credential. The report is issued for diamonds of one carat upwards, of all shapes, and provides the most comprehensive analysis of a diamond's quality. As well as outlining your diamond's 4Cs, it also provides a diagram of your diamond's characteristics.